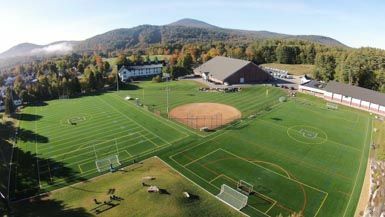 Proctor’s incredible breadth of programming is supported by a campus of 45 buildings, 20 dormitories, two synthetic turf fields, a privately owned and operated FIS ski hill and state of the art facilities. Explore some of our facilities below, and visit our Campus Map to learn more about all of Proctor’s facilities. Boat building has a long, colorful history at Proctor. Starting in the late 1930s hundreds of rowboats, sailing dinghies, canoes and kayaks were built here. As a boy—long before he became America's first astronaut in space—Alan Shepard spent a summer building a boat at Proctor. In 1961, when Shepard became a national hero, we named the old shop in his honor! Today, the top floor is still home to woodshop and boat-building classes. Downstairs, metal shop and jewelry classes meet. The Brown Dining Commons opened its doors in the fall of 2016 as the "greenest" building built to date on Proctor's campus. The first net-zero ready dining facility in New England, the state of the art architecture is matched only by the quality of food prepared by Proctor's Dining Services team. To learn more about the Brown Dining Commons, click here! 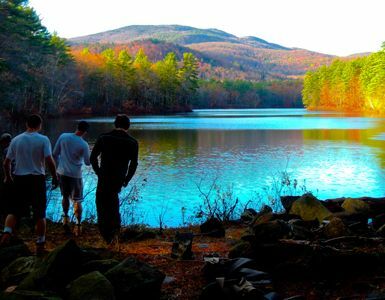 Home to the Mountain Classroom facility, Elbow Pond is deep and clean, and is fed by both springs and a mountain brook. This is the school's most popular swimming spot, and the location of our weekly polar swim! Farmland was excavated in 1957 to provide athletic fields for baseball, soccer, lacrosse and--eventually--field hockey. In the summer of 2012, the school completed the $1.9 million installation of two synthetic playing fields, (one illuminated for night games and general recreation). The 70,000 square-foot north field provides NCAA-sized surfaces for field hockey and boys' lacrosse. The lighted 93,100 square-foot east field hosts soccer and girls' lacrosse, but is also lined for football and boys' lacrosse, allowing all sports to benefit from playing under the lights. These fields are constructed for snow removal, enabling early lacrosse practice and play. A natural-turf softball field is positioned to the southwest, with home plate situated at the conjunction of the synthetic fields. The Alice and David Fowler Learning Center is the crown jewel of our academic facilities. Dedicated in June, 1994 on the occasion of David Fowler's retirement (after 30 years at Proctor, as Head of School), this building inspired by a Shaker barn celebrates the legacy of both David and Alice Fowler. A stunning, open atrium on the east side connects Information Technology with the Lovejoy Library and Learning Skills. 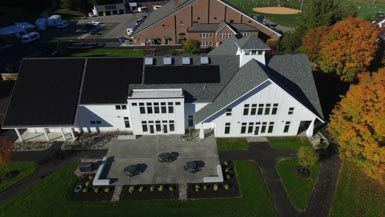 The Fowler Learning Center immediately gained national attention in architectural magazines, and was honored for its successful integration of small-town, New England style with state-of-the-art technologies. Built in 2008, Peabody House replaced long-standing Morton House as a desirable central location on campus. 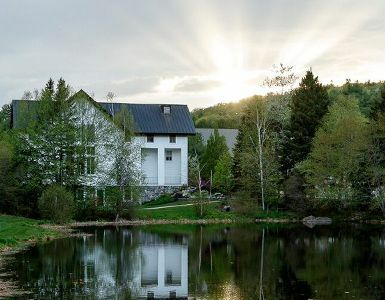 Home to two faculty families and sixteen residents, Peabody House utilizes geothermal heating and cooling and is built with sustainability in mind. In fact, all of its hardwood floors are a recycled basketball floor from a nearby college! 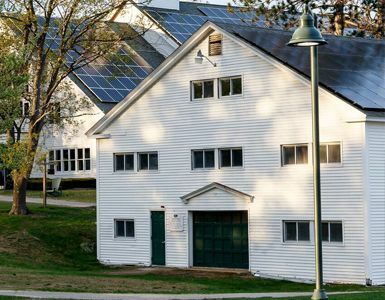 Peabody’s southerly exposure and use of passive solar to heat its spacious commons rooms overlooks the Farrell Field Complex and Proctor Ski Area across the valley. The Proctor Ski Area is a great asset to Proctor's downhill and cross-country ski programs, while also serving thousands of regional skiers. With top to bottom snowmaking and high efficiency lighting, the Proctor Ski Area is one of the finest privately owned and operated race hills in the country. Trails were cut on the north-facing ridge overlooking the Blackwater River in the 1960s, but it was the addition of a 1400-foot T-bar lift in 1970 that set the facility apart. In the decades that followed, the ski area has been improved with top-to-bottom lighting, extensive snowmaking and the finest grooming equipment. New England's most reliable ski jumps and early-season cross-country loops are serviced by an additional lift and their own snowmaking guns. Proctor's commitment to the ski area is secure. In 2007, the school is invested more than $550,000 in improvements, including a new T-bar lift, additional lighting and snowmaking. In 2013, another $375,000 was invested into environmental enhancements to snow-making operations, earning Proctor the prestigious Golden Eagle Award for Environmental Excellence! The base lodge, known as "Yarrow's Lodge," offers changing areas, two wood stoves, dining space and a full kitchen, serving up burgers, chili, cocoa and more to hundreds of athletes and spectators. Its massive second-story deck, which faces the slalom racing slope, features an additional grille for special events. The value of the ski area to Proctor athletics is immense. One coach observes, "We hit the slopes just minutes after classes end, with no time wasted for transportation. And let's face it: commercial ski areas don't like having racing teams training on their best slopes. This little gem is all ours, and our racers love it!" 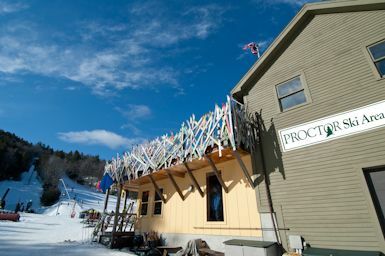 The list of organizations utilizing the Proctor Ski Area is extensive: Proctor's cross-country and downhill ski racing teams, championship snowboarding teams, jumpers, five local high school racing teams, local elementary school developmental programs, Bill Koch ski programs, the list goes on. In addition to hosting several all-New England events each winter, the ski area shows its best to the prestigious Macomber Cup racers, which includes Darmouth's Carnival team, and several elite university squads. Keeping it in top shape is a whole Hill Management Team, aided by a skilled Ski Patrol Team, which is staffed by Proctor students. Interested in hitting the slopes? Contact the Admission Office to make arrangements! Coming from the South: I-93 North to Exit 17, Route 4 West 17 miles into Andover. Go left at "Jake's Market" onto Lawrence Street. 3/4 mile go right onto Blackwater Lane (there is a sign on the left side of the road). Southwest: North on I-91 to Claremont/Springfield. Follow Route 11 across to Andover (one hour) OR stay on I-91 to White River Junction; pick up I-89 South; take Exit 11; turn left onto Route 11; follow Route 11 to Andover. Go right at "Jake's Market" onto Lawrence Street. 3/4 mile go right onto Blackwater Lane (there is a sign on the left side of the road). Northwest: At White River Junction get on I-89 South; take Exit 11 (second New London exit); turn left onto Route 11; follow route 11 to Andover. Go right at "Jake's Market" onto Lawrence Street. 3/4 mile go right onto Blackwater Lane (there is a sign on the left side of the road). North: From Maine take I-95 South to Portsmouth Circle; take Route 4 West to Andover. Go left at "Jake's Market" onto Lawrence Street. 3/4 mile go right onto Blackwater Lane (there is a sign on the left side of the road). 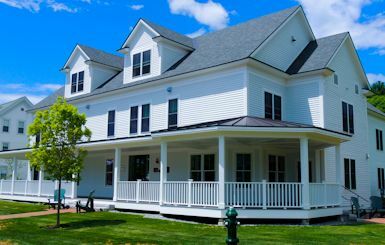 Completed in the fall of 2013, Sally B Dormitory provides 16 girls and two faculty families a beautiful new home. Proctor’s commitment to the highest residential life standards led to the building of a sixteen-student, two faculty family dormitory immediately to the east of Mary Lowell Stone House. Drawing on the classic, New England architectural lines of Mary Lowell Stone, the dormitory features suite-configured bedrooms. It was built to exacting environmental standards in line with the school’s Environmental Mission Statement. The project includes extensive improvements to adjacent landscapes, including off-street parking for three dormitories, and clearly delineated work areas for the Forestry and Land Use Departments. The official groundbreaking was May 4, 2013 and dedication of Sally B was November 16, 2013. Constructed as a livery stable for horses that drew carriages from the railroad station to the Proctor House Hotel in the 1870s, this charming building was extensively renovated one hundred years ago by H. Langford Warren, Dean of the Architecture School at Harvard University. Through much of the 20th Century, Slocumb served as the school's gymnasium, with shower rooms on the north side. Today, recently improved with new insulation and windows, Slocumb is home to studio arts and ceramics. There's nothing like it anywhere. While the technology inside gives students the ability to mix tracks like pros, it is the vibration insulation that catches the attention of national media. A writer for an acoustic design magazine notes, "Each room is suspended by thousands of rubber pads against the outside wall, so that a heavy truck passing by on North Street (which would be rare) will have no discernable vibration in the performance spaces or the recording studio, itself. No one has ever seen anything like this. And then there's the recording technology!" Each student in recording classes designs unique mixes of music, and displays these choices on a projection screen for other students to appreciate and evaluate. 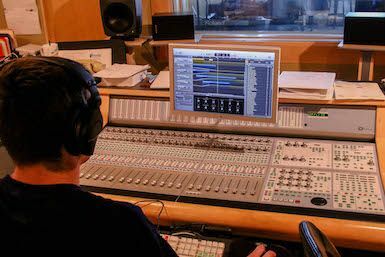 Visit this space when it's in action, with jazz/rock playing in the studio, and the recording team working the state-of-the-art sound board. The Maloney Rink was built in 2002 and dedicated in memory of Teddy Maloney who graduated from Proctor in 1988. Teddy was the starting goalie on the boys’ varsity team and also served as captain his senior year, but tragically lost his life in the World Trade Towers tragedy on September 11, 2001. This facility features a large (200’x 90’) skating surface, an indirect lighting system, all new boards and glass, state of the art refrigeration equipment and an oversized dehumidification system to provide optimum ice making environment. 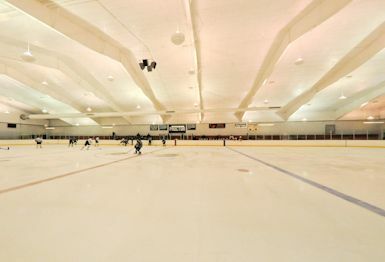 While Proctor's hockey program is the primary occupant of the facility, local youth hockey programs also use the facility as their home ice. In 2007, two new state of the art locker rooms were added to the rink. The second phase of the renovation of the facility was completed in January 2012, adding six additional state of the art locker rooms available to teams during all three seasons of competition, coaches rooms and a heated lobby and viewing area. 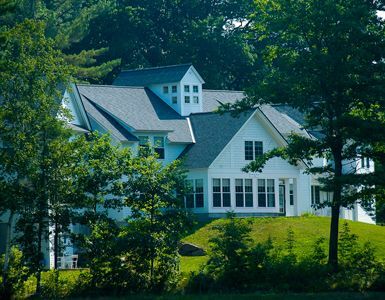 "The Meetinghouse" is one of the most architecturally and aesthetically beautiful facilities in central New Hampshire. 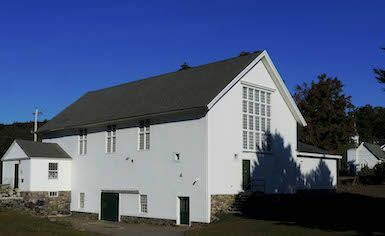 Designed in the image of a Shaker barn, the Meeting House is a physical metaphor for Proctor values. Here, the whole community assembles for daily assemblies at which anyone may speak. Dance studios, a blackbox theater, costume shops, a huge stage tech facility and the Cotton Projection Room surround the 410-seat Norris Family Theater. The Meetinghouse brings people together, to be their best. This is what Proctor is all about. 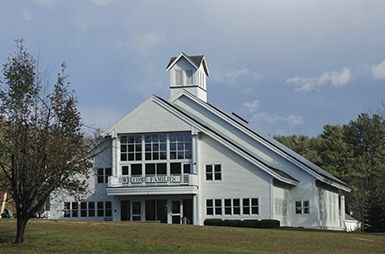 The Meeting House was opened in 2001, and was named in honor of Steve Wilkins, who was Head of School from 1994-2005, and his wife Sarah, who taught in the Learning Skills Department. 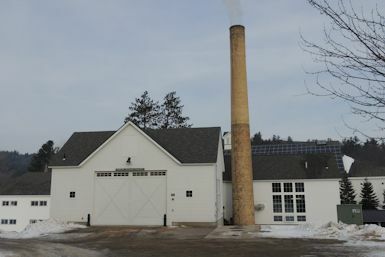 In 2009, the Walt Wright Biomass Facility was installed on campus, replacing the oil furnaces that produced the steam necessary to heat the majority of campus for the previous fifty years. The biomass facility feeds an expanded system of steam lines, and the emission from the "smokestack" is clean water vapor. The biomass facility heats with woodchips harvested from lands adjacent to Proctor’s woodlands. Busy throughout the months of March and early April, the Johnson Sugar House is an extension of the Forestry Department. 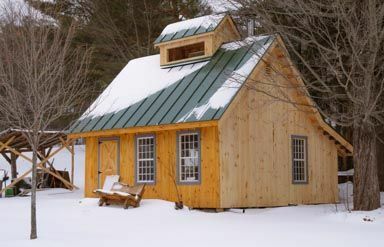 One of the most popular spring Project Period offerings brings dozens of students to maple sugaring: gathering sap from the school's extensive stand of maples, boiling, stoking fires, pouring and bottling. Ask for a bottle when you visit and read about the dedication of this wonderful facility HERE!